For the Weekend Challenge over at #dailysketchchallenge we were asked to do an image of ourselves as a hero or villain, and include an image of yourself that you used as reference. 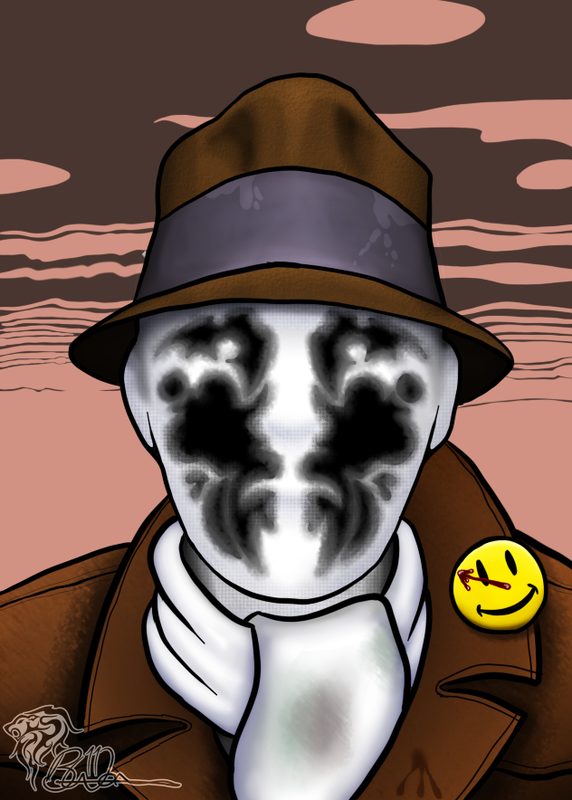 I decided I would do Rorschach from the Watchmen as I remembered I had this image of myself in a big coat (taken for my travel pass I think) from a couple of years ago. Here is the image as at just after the 60 minute mark (challenge time limit). I will post a completed image because I enjoyed this so much I wnet on to finish it (color/background)! 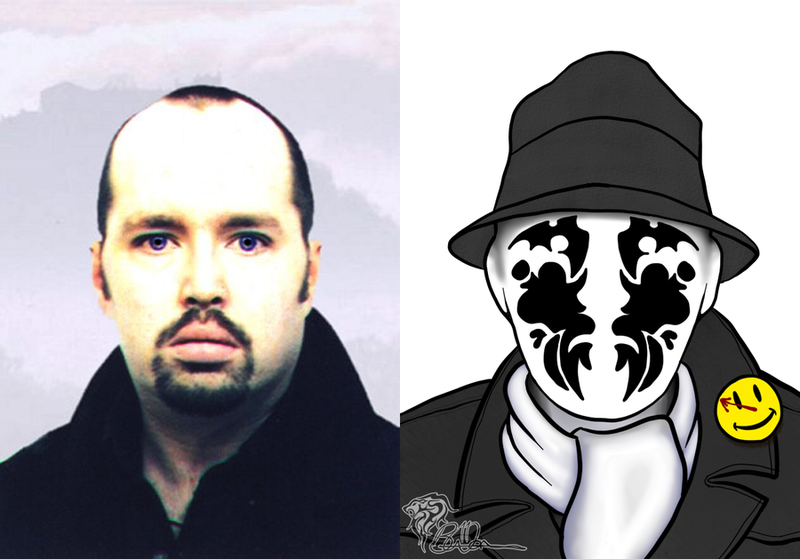 The fun bits so far were recreating the Comedian’s badge from scratch and coming up with an inkblot for the mask – I have tried to tie the pattern into my own facial features so a heavy block over/around the eyes and a hint of the mouth and beard at the bottom. 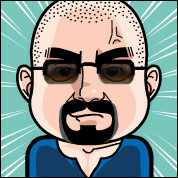 And here is the final version of my Weekend Challenge from #dailysketchchallenge. Finalised the coloring and recreated a background from the comic (smoggy sky). 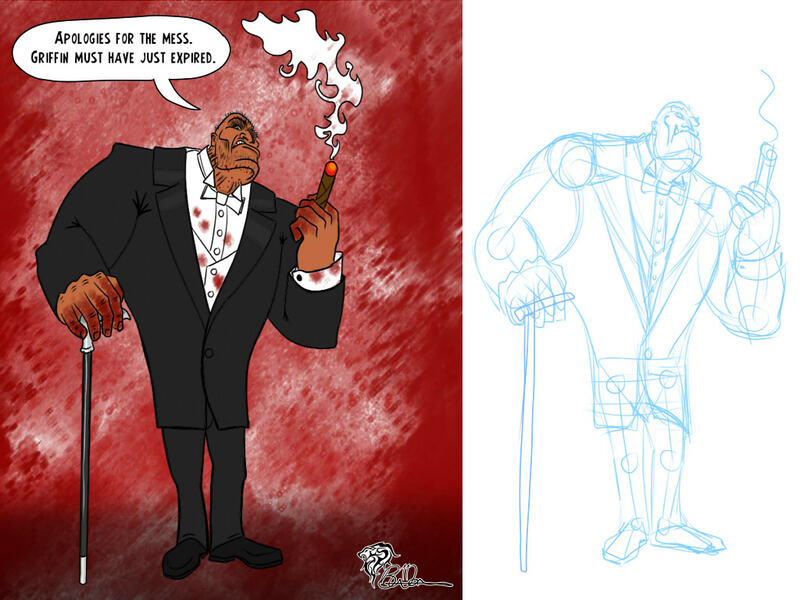 Smudged up the inkblot to make it look more like the movie and added lots of shading and highlights etc. Coat and hat now also have a texture as does the mask.